Here’s my Whitney Houston mash EP. Had these ‘in production’ for a while, but only just found time to finish them off. Hope you like – cheers!! 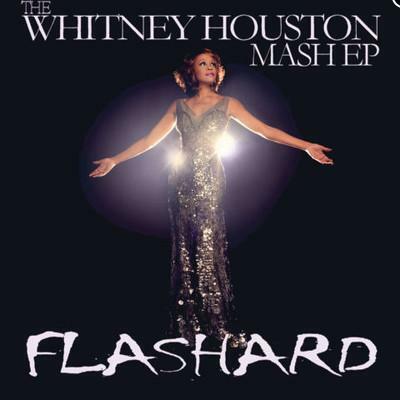 Flashard – Whitney Houston vs David Guetta / Guns ‘n’ Roses / Example / Owl City. Whitney Houston vs David Guetta – It’s Not Titanium, But It’s Okay..
Mixed using Whitney Houston – It’s Not Right, But It’s Okay (Acapella) and David Guetta – Titanium (Instrumental). Whitney Houston vs Guns N Roses – Don’t Cry For The Best. Mixed using Whitney Houston – I Learned From The Best (Acapella) and Guns n Roses – Don’t Cry (Instrumental). Whitney Houston vs Owl City – Fine Alligator Sky. Mixed using Whitney Houston – Fine (Acapella) and Owl City Ft Shawn Chrystopher – Alligator Sky (Instrumental). Whitney Houston vs Example – My Own Two Lives. Mixed using Whitney Houston – On My Own (Acapella) and Example – Two Lives (Instrumental).